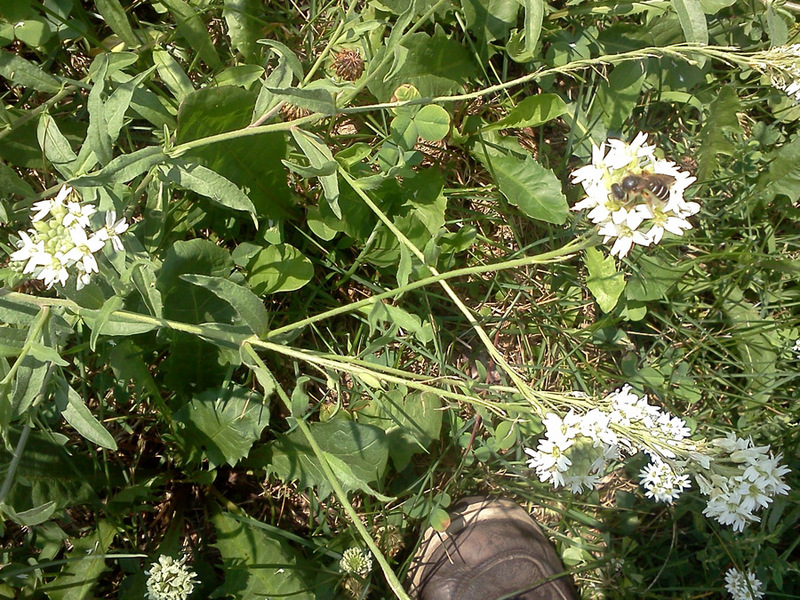 The interesting thing about hoary alyssum is that horse breeders don’t like it. When eaten fresh in the pasture or dried in hay in quantities over 20%, it can be toxic to horses. So, like most plants that don’t serve human interests, the plant itself is downgraded in value to a “weed”. 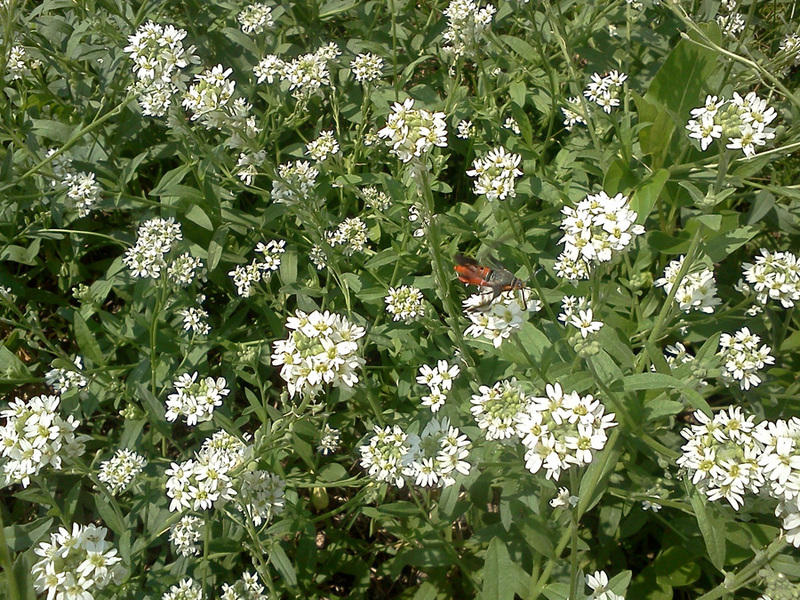 But from an insect point of view, and particularly from the point of view of native solitary insects, hoary alyssum is an attractive plant that provides much-needed sustenance. It is interesting to note how human categories of plants and insects are created and how these categories tend to restrict our perspective and limit our imagination. I think it is worthwhile, before you spend too much time worrying about an individual plant or insect, to think less about what it “is” (which oftentimes is subjective) and focus instead on what it does. 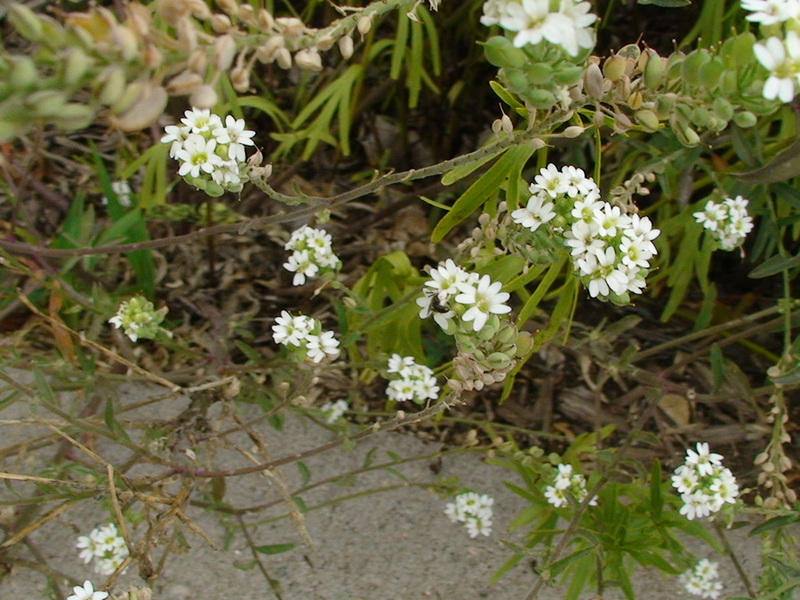 Hoary alyssum is one example of a plant that defies our prejudices. 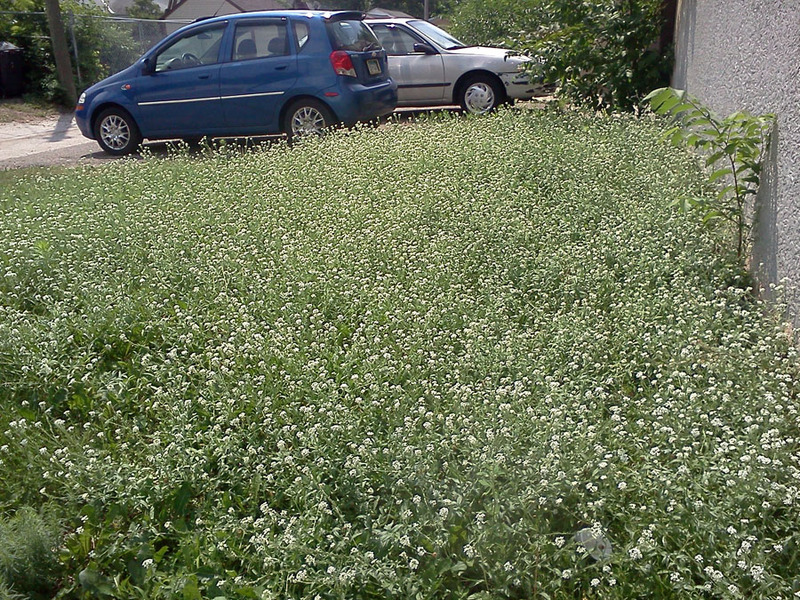 A backyard in South Minneapolis full of hoary alyssum. Hoary alyssum visited by a solitary bee. Hoary alyssum flowers being visited by a solitary bee.